Sammi also said that she will soon begin closed door training for her concerts, but she still would have to recover from her knee injury and would not be able to make big moves like jumping and running. The doctor said that she would need two months for a full recovery. For now she would train the upper body first. She was very optimistic that she would be able to reach her goal then. Speaking of how hard her concert tickets were to get, Gigi asked Sammi, "Don't cut me out of my 100 tickets!" Sammi joked, "I will print them for you myself." Earlier Sammi posted a "tea ceremony" photo on social media and some mistook it for her wedding photo. Some also said that her and husband Andy Hui Chi On's smiles were stiff. Sammi explained that actually it was the wedding of a relative's offspring. Perhaps everyone missed what she wrote under the photo. Would she consider sharing her wedding photo? She said, "No one wants to see them." Gigi said, "I do." Sammi joked, "I can WeChat them to you." Speaking of her awkward smile in the photo, she said, "Actually at the time I was very moved inside, but I couldn't express it right away. My face was stiff. After the ceremony I immediately smiled again, I was moved because I have become an elder and had to give lai see." 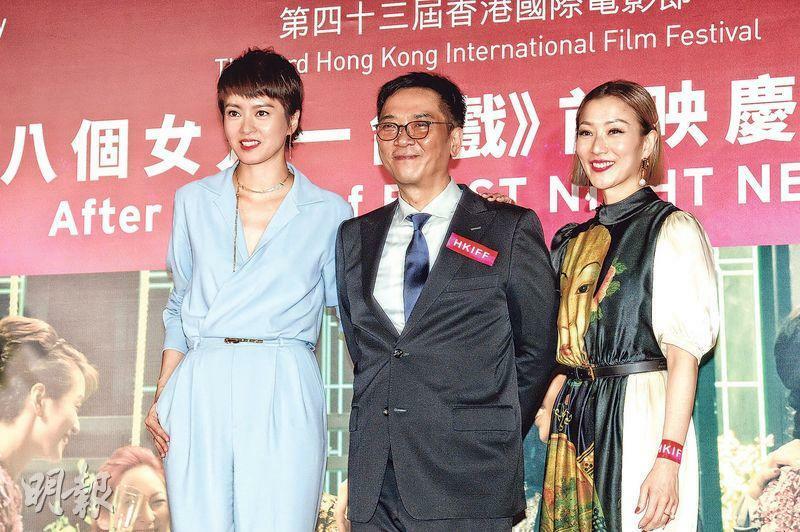 Mainland star Bai Baihe in the film played a more masculine character. She said that the character differed greatly from her past ones. She could only observe how people around her protect girls. Was the performance difficult? She admitted that the hardest was the Cantonese lines, which she thought were very hard and after the shoot she completely forgot them. 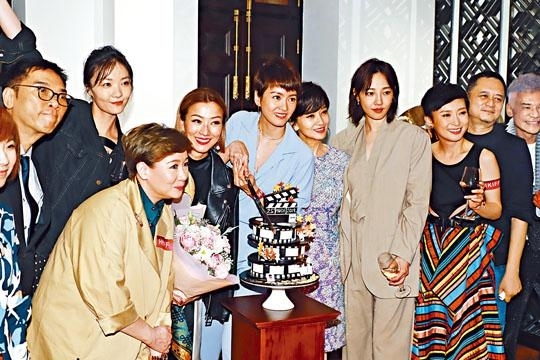 In addition, when asked if she had any contact with her former husband Chen Yufan, she said, "I have no comment for anything not related to the film." Then she turned and left.